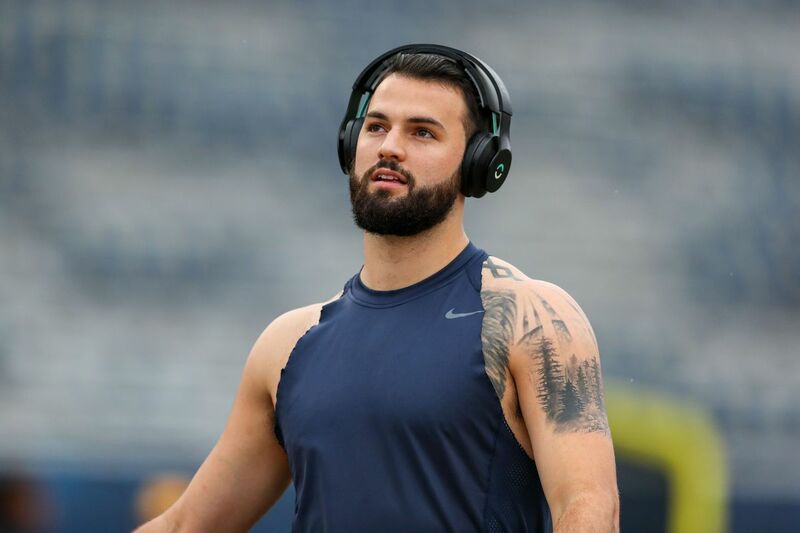 Will Grier (born April 3, 1995) is an American midfielder for West Virginia Mountaineers. Previously, he played for the Florida Gators. Grier came into Davidson Day School in Davidson, North Carolina. As junior he threw a national record of 837 yards in the game, breaking the old record of 764. As a senior, he had passed 4989 yards with a national and a North Carolina record of 77 touchdown goals. He also crashed with 13 goals to 1,251 meters. He became the All-American of the Year Parade player and Mr. Football USA. For his career, Grier had scored 14,565 yards, state records went through 195 touchdowns, 2,955 rushed yards and 31 touchdowns crashed. Grier was ranked by Rivals.com as a four-star recruitment and classified as a double quarterback – the second best threat of his class and the 46th overall player. Grier was offered a scholarship to play football in Auburn, Arkansas, Florida, North Carolina, Tennessee and Wake Forest. He is committed to playing midfield at the University of Florida. On April 6, 2016, Grier announced that he had moved to West Virginia University. He participated in the 2016 season per NCAA transmission rule. Grier is a presumptive starter for West Virginia in the 2017 season, but there are questions about its feasibility, as half of the suspension is served for one year along with the transfer waiting time. On June 20, 2017, West Virginia head coach Dana Holgerson announced that the NCAA Grier had waived and that he could play Virginia Tech in the opening game of the season. In his first match with Mountain Climber, Grier threw for 371 yards, three goals and interception in a 31-24 loss to Virginia Tech. Grier threw 352 yards and five goals when a win over the No. came from behind. 24 Texas Tech on October 14, and was named the Big 12 Offensive Player of the Week. In the 11th Mountaineer match this season against Texas, Grier left the match in the second quarter with a broken finger in the throwing hand. Grier was operated on a broken finger and missed the rest of the season. He finished 3,490 yards and 36 goals this year. At the end of the season, Grier was awarded as a 12-year-old newcomer. On May 23, 2018, Grier announced that he would return for his senior season, instead of participating in the 2018 NFL Draft. He was inducted into the preseason watchlist for several national awards, including the Maxwell Award, the Walter Camp Award and the Davey O’Brien Award. Grier competed in several candidates for the Heisman Trophy. In 2018, the Big 12 Media Days, he was announced at the conference as a preseason offensive player of the year and a pre-conference all-conference team for all teams as a first choice.